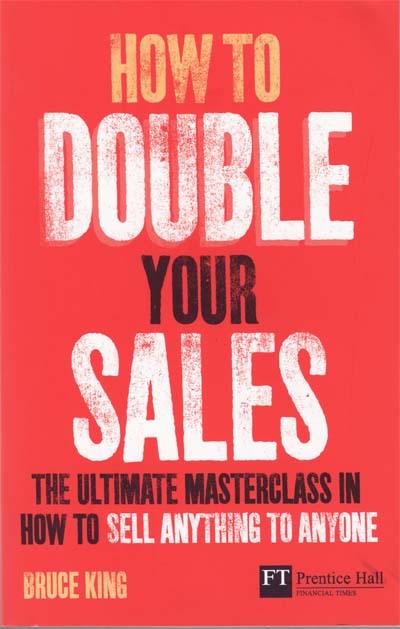 This is a guest blog by a friend of mine, Bruce King, whose book “How to Double Your Sales: The Ultimate Masterclass in How to Sell Anything to Anyone” is possibly one of the best business books I’ve ever read, far extending beyond just sales! Bruce wrote this blog back in 2008 and came across it when he was clearing down his old file! He sent it over to me and I felt it was still so relevant that I wanted to share it with you – I hope you enjoy it! Service with a smile – being made welcome makes me happier to spend! In the UK I am almost never greeted with a smile. In the UK most shop assistants are surly, cannot be bothered, do not know very much about their product and seem reluctant to serve me – let alone actually sell me anything. In fact on so many occasions I feel I’m intruding and unwelcome. Even if I want the item they have, I feel unhappy about giving them my money. When excellent service is the norm being “sold to” is enjoyable; shopping becomes a pleasure! Not so in the New York. EVERYWHERE I go I am greeted with a big smile and areally pleasant hello. I am welcomed into the store. They make me feel good and wanted. They know anything and everything you could want to know about what they are selling – and YES – they sell! They sell very pleasantly, very efficiently and they make me WANT to spend money. On several occasions when my wife or I wanted a particular item they did not stock, they even told us where else we could purchase those items, walked with us to the shop doorway and gave us instructions of how to find their competition. Shopping in New York is an absolute pleasure! Is lack of training the reason why UK retailers make shopping so unpleasant compared to their counterparts in the USA? So why have so many retail shops got it wrong here? What is the matter with them – what is their problem? Obviously it’s bad training – I believe they are not taught to sell, they are taught (sometimes) to serve. There is a big difference between serving and selling! I also think part of the answer is that New Yorkers complain about poor service. They are not prepared to tolerate it and speak out loudly on the rare occasions that they are not satisfied. Here in the UK we tend not to complain, so to some extent it is also our fault… So in future complain if you are not happy. If the store manager is not cooperative, then write to their head office. If you don’t get any satisfaction from that, write to the Chairman. Their details are almost certain to be on their website. Complain and things will eventually get better. And how can smaller retailers steal the march on the “big boy” competition? Bruce King is a UK based sales and marketing consultant who is recognised internationally as a leading sales, marketing and personal growth strategist. With over 35 years experience he is a highly sought after keynote conference speaker, sales and marketing master class presenter, and sales trainer. Bruce is additionally a highly regarded business adviser focused on SMEs, a personal coach, and a best selling author. In 1993 Bruce was commissioned to write a book for BBC Books. “Psycho-Selling: How To Double Your Income From Sales In 8 Weeks”, was published by the BBC in 1994, was translated into several languages, and became an international best seller. Since then he has written several other best selling books including “Double Your Sales” (Financial Times). Bruce is a Fellow of The Institute of Sales & Marketing Management (FInstSMM) and a Fellow of the Institute of Directors (FIoD). This entry was posted in customer engagement, Increasing Sales, Service, The Retail Champion and tagged bruce king, double your sales, new york, selling skills, service with a smile, shopping. Bookmark the permalink.